The zoological garden in Belfast, also known as the Bellevue Zoo, is a very popular place in Belfast, with almost 300,000 visitors a year. The zoo covers an area of 22 hectares and here you can see more than 140 species and more than 1200 animals. The zoo is located in a very nice and peaceful area of Belfast, and it has been a constant success since opening in 1934. The minus is that it is a bit outside the inner city area, making it a bit harder to get here as a tourist. 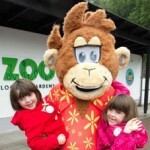 You can get to the zoo using a bus from Donegall Square West. You must travel with either 1A, 1B, 1C, 1D, 1E, 1F, 1G or 2A heading for Antrim Road or Bellevue.